What is renewal pruning? After a few years of growth many plants will become less productive and less vigorous. Some may even start developing woody stems and branches. Of course, it very much depend on how you treat your plants, but in most cases it’s the result of neglect or the wrong treatment, as well as the plants natural tendency. (So, don’t feel too bad, it’s not all your fault ;). How will I know it’s time for renewal? I have put a few pictures together, so I can show you some photos and explain. Keep in mind that it doesn't mean you have to do something about it, you can choose the renewal path, or, you can choose to replace the plant with a new one! Red pill - Blue pill. Why? Because it means renewal, it's that simple! The idea is to prune close to the ground, leave no stems or branches, and sometimes you even root out part of the plant. To be perfectly honest, i don't like renewal pruning at all. I prefer to prune hard, and leave a few stems with green leaves untouched. I believe it makes it easier for the plant to recover. When is renewal pruning required? 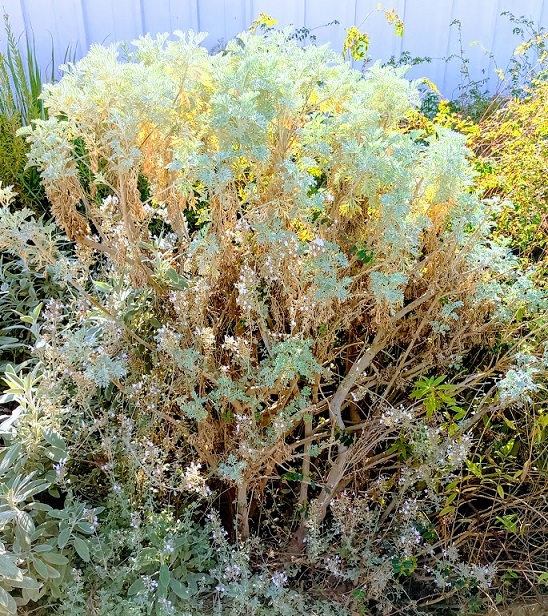 How to recognize that renewal pruning is required – first, take a good and close look at the plant and search for the signs I mentioned earlier. Look at the Sheba in the picture above (on the right), you can see that the leaves on top are pail in color, and the stems are no longer vigorous. The lower part of the Sheba has very few, or almost no leaves on it, and you can see woody stems, so it's a great example. Another option would be to simply replace it. Not bother with pruning, just buy a new plant. Whatever you choose is fine, but as we are here to prune, I do suggest you make every efforts to renew your plants, so let’s do a little renewal pruning and bring the Sheba to life. Keep the best and dump the rest - In a nut shell, I don't like renewal pruning. But when it comes to an old plant like the Sheba you see above, what I would do is prune hard only on one side of the plant. Doing only one side will help him recover. 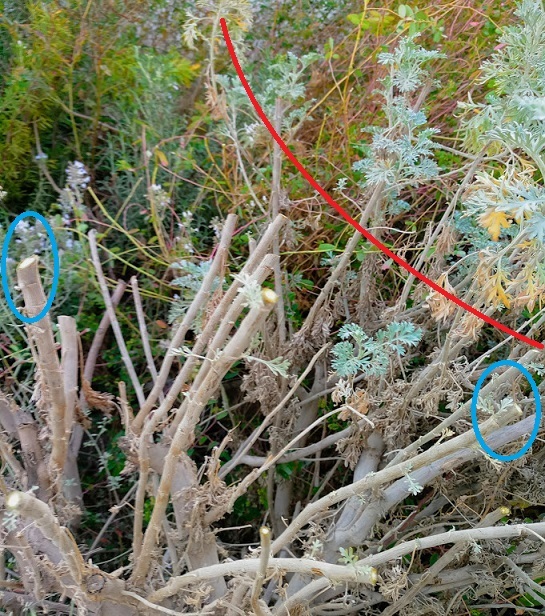 I’ll make sure to leave small green leaves (see the stems I pruned on the right side of left picture > round blue circles), and I won’t prune the right side of the plant at all, for the moment. 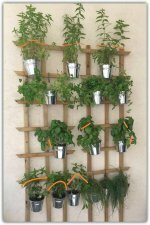 Splitting the plant into right and left and pruning only one side of it is pure renewal, without cutting off the entire plant, and that would be my preferred renewal method. Remember, you can absolutely prune all the stems close to the ground, leaving no stems at all, and it will come out great in most cases. You'll just have to try it and figure out what works best for you! When is the best time to renew deciduous plants? – Just as grapevines and roses can be pruned hard just before the buds starts to grow, which means late winter, evergreen plants are the same and would benefit from being pruned just after new growth begins to appear. When I need or want to prune my evergreens hard, I wait until mid-spring when the temperatures are stable, and the ground temperature is warmer. As always the type of plant dictates the type of pruners. Simple rule of thumb: If you’re most likely to prune hard and close to the ground - you'll need loppers or a heavy duty hand pruners. Both would probably be bypass because bypass have long thin blades that are easier to push between the thick stems that come from the ground.